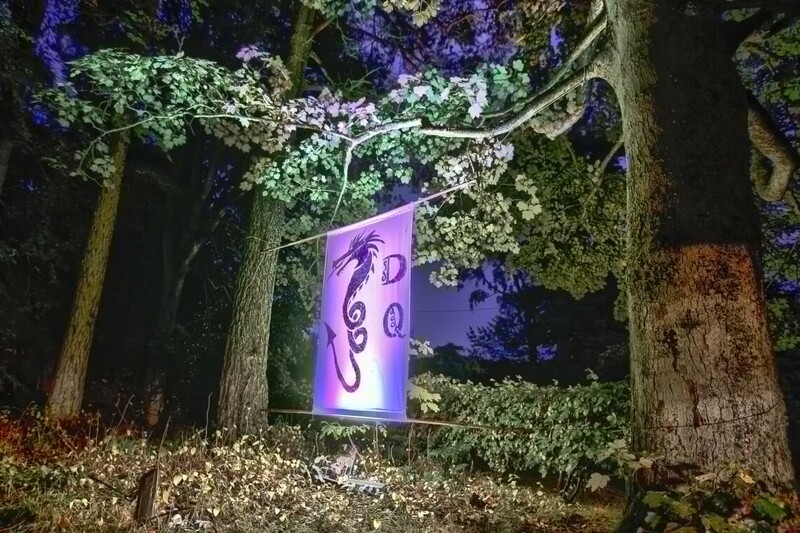 Dragons of Drummohr is an amazing Augmented Reality performance that will lead you to a parallel universe where you will be tasked with assisting the Dragon Protection League find all the magical creatures living in the grounds of Drummohr House. Just make sure you avoid the Trolls, the nest of spiders, and don’t talk to the Troll Hunter. There is a fairy settlement, a grooving disco-bobulator, a mesmerising dragimation and much more, in this visually packed event! Book a ticket and get to the Prestongrange Museum Visitor Centre to catch the Dragon Bus shuttle and join the adventure! Tickets on sale from 31st July through Brown Paper tickets. The Dragon Matrix app will be downloadable from mid September 2017. Stay in touch with all the latest information by visiting the Dragon Matrix website or Facebook page. Dragons of Drummohr evolved from an original idea by Symon Macintyre, Vision Mechanics’ Artistic Director. Dragons of Drummohr is supported by East Lothian Council. Dragon Scarers, our arts project involving local children in East Lothian, has been made possible through the support of CashBack for Creativity and Awards for All.